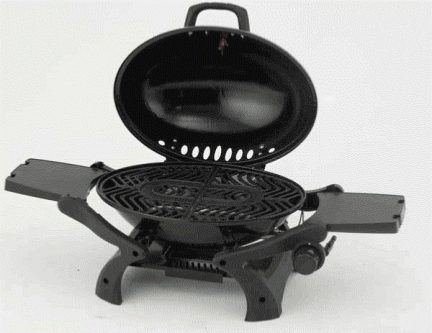 This compact smart portable BBQ is ideal for camping & caravanning. 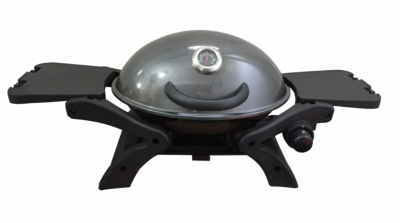 Split cast iron cooking grills. Cooking Area: L470 x D360mm. 2 detachable side / preparation shelves. U shaped stainless steel burner, enamelled bowl & hood complete with temperature gauge, detachable drip cup. Operates from propane, patio gas or camping gas cylinders.